Height/Weight: The treeâs average height is 50 feet. beetle, but it can be treated. Fast growing red alder grows principally in the Pacific Northwest, but its appeal goes far beyond its native region, with sales booming around the world, particularly in China. Masami Hasegawa, president of Hasegawa International Ltd. in Kent, WA, has been in the red alder business for more than 30 years. He provided an interesting âtimelineâ in the evolution of the wood Alnus rubra, that once received very little respect. However, Hasegawa added, he has seen dramatic acceptance of the wood in places like Japan, Europe and China. âThe Japanese and others had no negative perceptions of red alder. It wasnât a weed tree to them, but a very versatile wood with great potential. They used it to make high-end cabinetry and furniture, even veneer.â Its elasticity makes it ideal for carving intricate details as well, he said. Birt Beltzer, product manager at Acorn Custom Cabinetry, New Castle, WA, said red alderâs popularity has slowed down with clients after a record high two years ago, but he still gets calls for the wood. His company is currently putting the finishing touches on a project that features approximately $160,000 worth of red alder cabinetry throughout a luxury condo with a great view of Mount Rainier. Beltzer said clear alder was once the most asked for of the red alders, but today rustic red alder is as popular as clear. 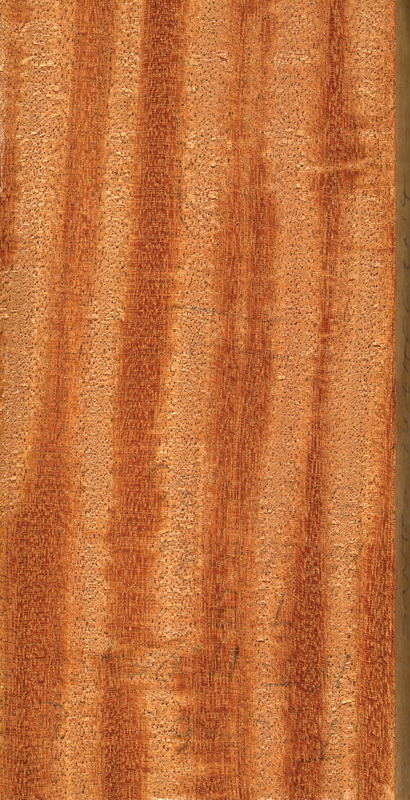 The acceptance of the rustic or character marks increases the yield of red alder logs. âIf it has a âproblem,â I would say the wood is one of the softer hardwoods and can âdentâ more easily than some other hardwoods,â Beltzer said. Hasegawa agreed that the market now uses as much knotty red alder as clear. âRed alder rarely has a figure like other woods, but the rustic look, also known as knotty alder, is used in many high end applications.â Hasegawa said he also has seen a shift in people using red alder, not as a substitute for high-end woods, but because they want red alder. âAlder now has its own identity and value as a hardwood,â he said. Western alder is extremely uniform in its light tan or honey color and there is no color difference between the heartwood and sapwood. According to the trade association, this makes alder easy to match and finish, even with clear fruitwood finishes, because kiln-dried alder presents no problems with sap, mineral streaks, dark color or stain. âIt features a light pattern, which adds to its popularity for printing and matching alder solids with many species of veneers without bleaching,â the group said. 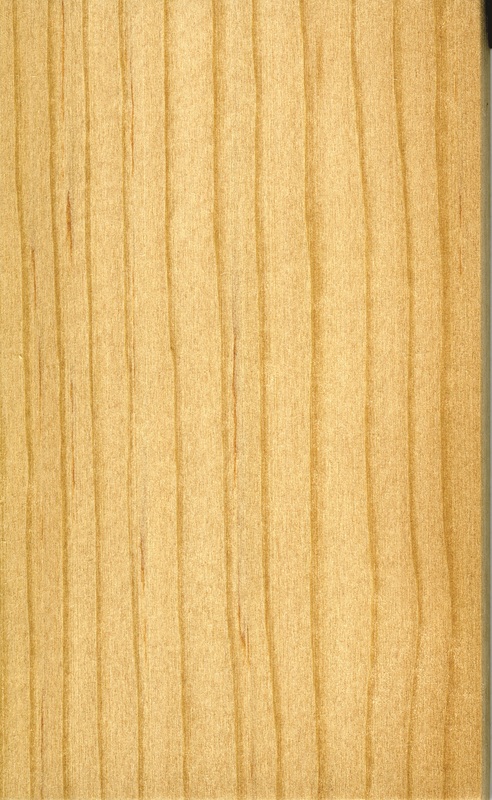 Knotty alder is popular for rustic doors. A prolific species, alder trees in the Pacific Northwest are said to grow easily on any open space not already taken by another species. There are 36 species of alders worldwide in the Betulaceae Family and one trait they share in common is a love of water. Alders thrive in wet, swampy areas or along streams and rivers. Alnus glutinosa, known as common alder, is a native of Europe and also North Africa. Alder trees are also recognized for their contribution to the health of the planet, as the decaying trees add nitrogen to the soil. Red alders, also known as nitrogen fixers, grow easily on open ground and prepare the soil for new and less hardy plants, earning the trees a comparison to legumes, which play the same roll in gardens. While alders are fast growers, the trees have relatively short life-spans of 60 to 100 years. red alder’s appeal goes beyond the pacific northwest.